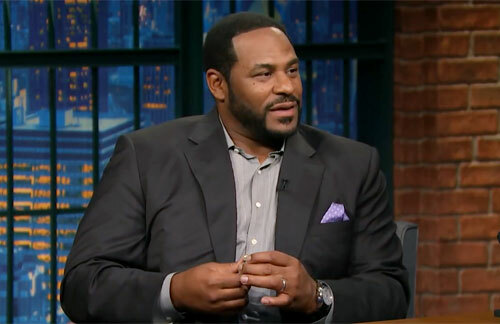 Jerome Bettis, nicknamed “The Bus,” is a former NFL halfback who played for the St. Louis Rams and Pittsburgh Steelers. He is currently a commentator for the NFL Network and a former NBC studio analyst for Football Night in America. Bettis is sixth on the list of NFL rushing yards leaders. He retired in 2006 after the Steelers won Super Bowl XL in his native Detroit, Michigan. He was inducted into the Pro Football Hall of Fame in 2015. Sports Speakers 360 is a booking agent for pro athletes. If you would like to book Jerome Bettis for a speaking engagement, appearance or endorsement, contact a Jerome Bettis booking agent for fees at 1.855.303.5450.